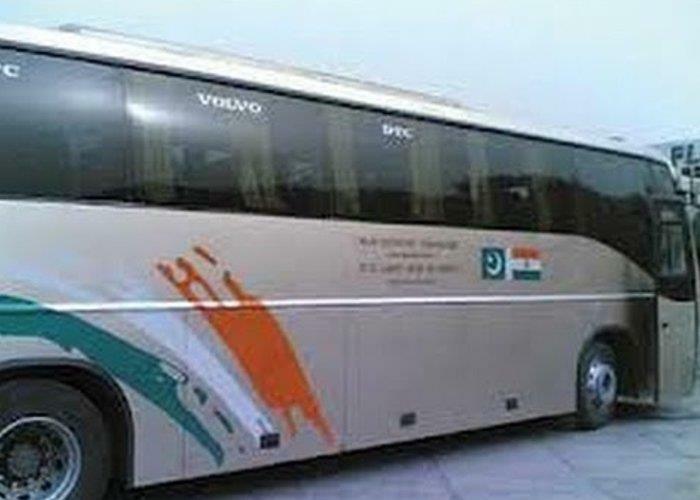 SRINAGAR: The weekly Karwan-e-Aman bus service operating between Srinagar and Muzaffarabad Pakistan will not be running today on Monday, officials said. “We have received an advisory from Pakistan Administrated Kashmir government late Sunday night to suspend the peace bus, operating between Srinagar and Muzaffarabad today,” an official said.“PAK government has announced holiday on today when funeral of Sardar Khalid, son of Sardar Muhammad Ibrahim Khan, founder President of PAK will be held at Rawlakote,” he added.Sardar Khalid (70) a veteran politician passed away on Sunday. They will be now adjusted in the bus, next week, he said. Meanwhile, militants and the security forces on Monday exchanged gunfire in Bakoora area of central Kashmir’s Ganderbal district, police said. “Exchange of fire between Security forces & #terrorists at Bakoora area of #Ganderbal. Area under cordon. Details will follow. @JmuKmrPolice,” tweeted police. There were no more details available at the time of filing this report.